Yvonne Frederick is a native of Albany, NY where she began her career in dance 25 years ago. Dancing as a company member in the Guilderland Ballet, she trained under many distinguished dancers and choreographers. Those instructors include: Jana Fugate, School of American Ballet; Denise Limoli, American Ballet Theatre and Ricci Adan, previous Director of Lee Theodore's American Dance Machine International. Throughout her training, Yvonne preformed with the Guilderland Ballet Company at various venues including a principal role in a production of The Nutcracker. Surrounding herself in the world of arts, Yvonne found many other interests to coincide with her passion for dance. In 2000, she moved to Buffalo to earn her Bachelor of Arts in Interior Design from Buffalo State College. Yvonne and Kelly's paths crossed for the first time while both dancing as company members for Janet Reed and Dancers. Kelly saw a great deal of passion and integrity in Yvonne and suggested she began teaching at Sherry Martin School of Dance. She has since been a member of SMD for over ten years with experience in teaching Ballet, Point, Jazz and Children's Classes. In addition Yvonne has spent the past eight years working full-time as a Commercial Interior Designer in the fields of Education and Healthcare. Her portfolio includes work throughout the United States and Internationally. Locally some projects to note are Pano's Restaurant on Elmwood Avenue and Buffalo State College's new science building which is currently under construction. Yvonne's extensive background in design, music and art allow her to take a different perspective than most dance teachers and choreographers. She looks forward to nurturing the character of each dancer, guiding them to develop a strong self image. "Ballet is a skill that not only teaches us to move with grace, but also to live with grace. I owe much of my strength as a mother, friend and professional to the time I spent in ballet class. I urge every young artist to see what ballet has to offer as a foundation for all other dance genres as well as a stepping stone to many other wonderful endeavors." Kelly Schroeder originally from Buffalo, danced and trained at Sherry Martin Dance since the age of 3. She now carries with her, the philosophy and the love of dance that she learned from her mentor, Sherry Martin herself. Kelly graduated from Buffalo State College where she received a Bachelors in Business and a Dance minor, where she performed and trained with Janet Reed and Dancers. In July of 2012 Kelly moved back to Buffalo from New York City where she had been teaching, performing and choreographing. She has worked with dance companies such as Movement in C, RMK Crew and Rocha Dance Theater. She has been recognized for her performances in "Rebel Verses" and "Satisfaction", as well as her involvement in charitable events such as "Children Helping Children" and "BMS Gives Back". From 2009-2011, Kelly served as the Dance Chair at The Brooklyn Music School (BMS), where she organized and conducted community outreach programs and helped to develop after-school dance curriculum throughout the Brooklyn area. In addition, Kelly was the lead dance instructor at BMS, and a respected, influential teacher at several prestigious schools throughout Brooklyn, including The Dance Studio of Park Slope, Brooklyn Friends, PS 11 and Brighter Choice. 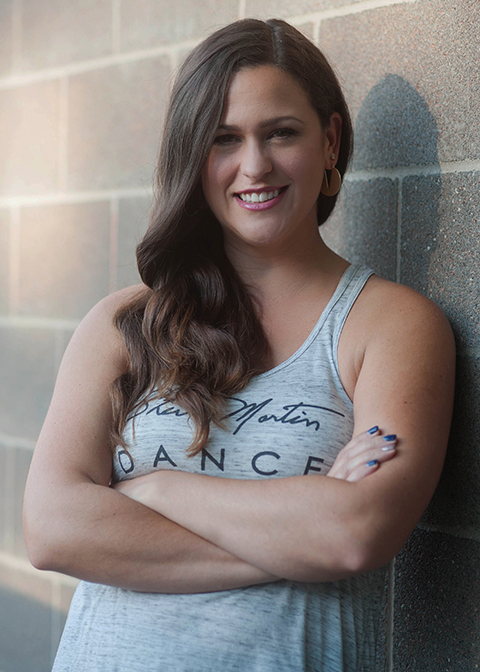 Kelly has taught and choreographed for dancers of all ages, levels, in almost every style of dance. Her passion for the art, creative choreography and fun and creative way of teaching, has been an inspiration to many. Elated to be Co-Owner and Artistic Director at Sherry Martin Dance, she now finds herself led back to the roots of where she evolved from. 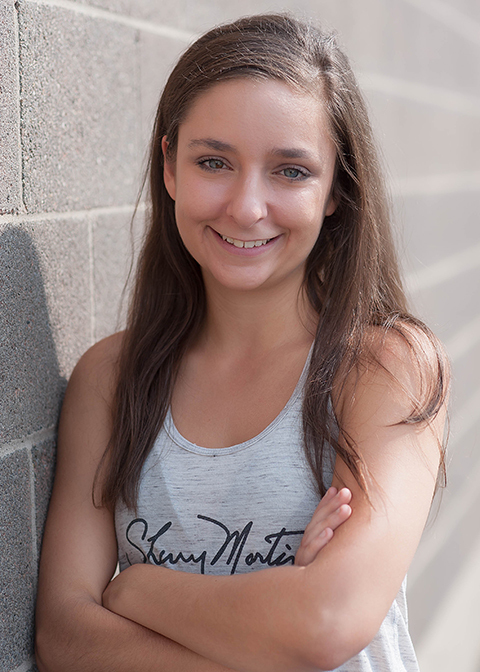 Danielle Bickel is thrilled to be returning to Sherry Martin Dance as a dance teacher. Danielle began her love affair with dance as a young childstudying all forms of creative movement throughout her school age years. As a college student at the University at Buffalo, she perused a degree in Theater and minored in Dance. After graduating in 2004 with a Bachelors in Arts she auditioned for Buffalo Bandits dance team, the Buffalo Bandettes. Danielle has been actively involved in the National Lacrosse League Dance team ever since. Now that she is no longer physically on the field at First Niagara Center she works closely with team as a choreographer and team mentor. Danielle is looking forward to meeting you and and your children and introducing them to the joy and freedom found in the art of dance. Jennifer Czerniak has been dancing for over 30 years. Growing up, she studied and competed under the direction of Patty Neal (Dance Spectrum) and Paul Garshnick (Off Broadway Performing Arts Center). At Buffalo State College, she minored in dance, where she met Kelly and Yvonne! Together they danced in Janet Reed and Dancers Dance Company, under the direction of Janet Reed. She taught at Dance Spectrum and Sherry Martin Dance before moving to NYC in 2003 to pursue other interests. In 2006, she returned to Buffalo to share her love and passion for dance. In 2008, she married her husband Jayson and they now have a beautiful daughter Stella who has followed in her mother's footsteps as a little dancer in the making at Sherry Martin Dance. Molly Duggan began dancing at the age of 3, until she was later welcomed into the Sherry Martin Dance family in 1997. Molly graduated from the University at Buffalo with her MA/AC and she is currently working full-time, as a High School Psychologist. As a child, Molly performed with Pick of the Crop, the Empire State Ballet, American Academy of Ballet, and Rochez Academy of Irish Dance. Throughout her high school experience, Molly trained at the Broadway Dancer Center in New York City, completing the Winter & Summer Intensive Programs in the areas of Lyrical, Ballet, Jazz, Musical Theatre and Hip Hop. 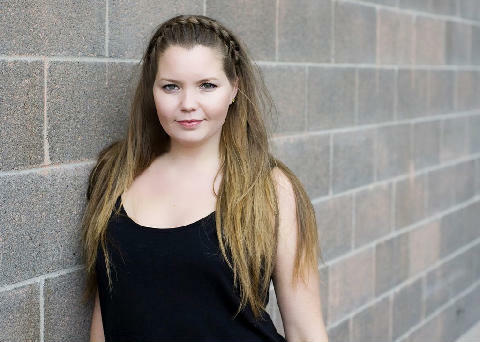 Molly began teaching Hip Hop at SMD at age 16, and soon began teaching Creative Movement, Jazz, and Lyrical classes. Following high school, Molly attended College in the New York City area, and continued to fulfill her love for teaching at a studio in Westchester County. Following college, Molly continued to teach at SMD, while taking workshops in both NYC & Los Angeles. Molly is extremely excited to be back on staff with the SMD family again. 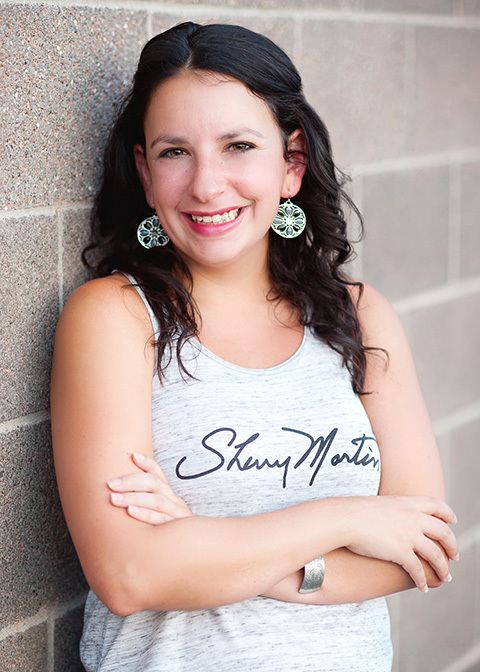 Sarah Polvino took her first dance class at Sherry Martin Dance in 2009. Starting out with hip-hop her first year, she soon added jazz, ballet, tap and lyrical to her repertoire. Sarah began assisting in 2012 and is teaching her first class this year. Sarah has danced on the competition team at Sherry Martin Dance for the last 3 years and performed as a solo competitor last year. Her first professional performance was in a music video by the artist Edalo called “Three”. In addition to dancing, assisting and teaching at SMD, Sarah is also a choreographer and dance coach for Buffalo Turners Gymnastics. A senior at Amherst High School, Sarah also performs in the school’s annual Operetta. Sarah plans on moving to New York City next year to pursue a career in the performing arts after graduation. Marideth Wanat is originally from Harrisburg, PA, and received her BFA degree in Spanish from Illinois State University, where she was a member and featured performer of the Illinois State Dance Theatre. She began her professional career dancing for Giordano Dance Chicago’s Giordano II Company. After two seasons with Giordano II, Marideth continued her career by performing in Thodos Dance Chicago’s “New Dances”. Soon after, she accepted a performing apprentice position with Inaside Chicago Dance for one season. In 2007 Marideth moved to Buffalo as the first, founding company member of Jon Lehrer’s LehrerDance, Buffalo’s only internationally touring dance company. During her seven years with the company, she was blessed with the opportunity to tour throughout the United States, as well as two tours in Vladivostok, Russia, and a three-week European tour in Germany, Luxembourg, and Switzerland. In January 2009, Marideth was honored as one of Dance Magazine’s “25 to Watch – Who Will Shine in ‘09”. In addition to her company experience, Marideth has also performed two seasons in Neglia Ballet’s production of “The Nutcracker” and “Romeo and Juliet”. She also shares her love for dance by teaching technique and choreographing floor routines for the gymnasts of Gymnastics Unlimited. 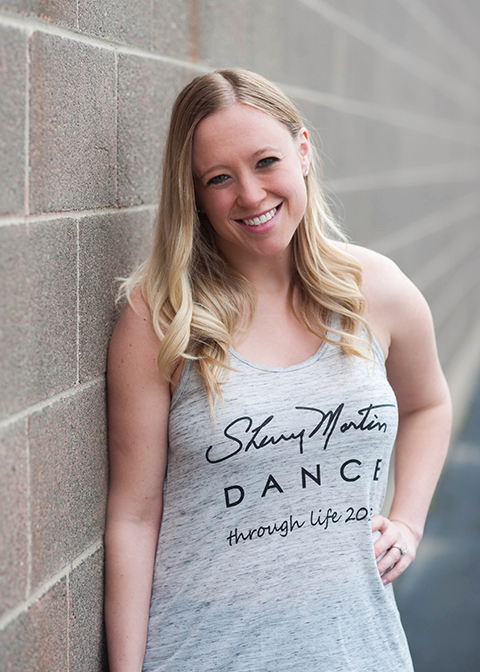 Marideth is thrilled with the opportunity to join the faculty of Sherry Martin Dance, where she can continue to be inspired by students with a shared love for the art of dance. 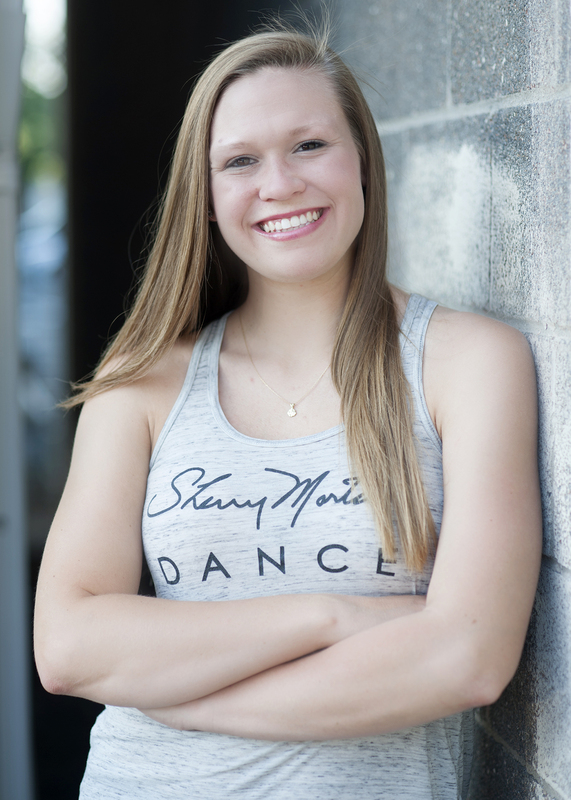 Kayla Washburn, originally from Amherst, danced and trained at Sherry Martin Dance since the age of 3. Kayla attended both Niagara County Community College & SUNY Cortland where she performed and choreographed for The Tanzen Dance Company & The Mone Dance Project. During her collegiate dance career, Kayla trained in a variety of styles such as Hip Hop, Modern, Contemporary and African Dance. During her participation with the Tanzen Dance Company, Kayla trained and performed with The Garth Fagan Dance Company, who is the founder and artistic director of The Lion King on Broadway. Since 2011, Kayla has had her own choreographed pieces performed at a variety of Art festivals during her Summers here in Buffalo such as Music is Art festival, The Peach festival, Taste of Buffalo, The Erie County Fair and the Niagara County Fair. Kayla is also currently working full time in Retail banking for Northwest Savings Bank. 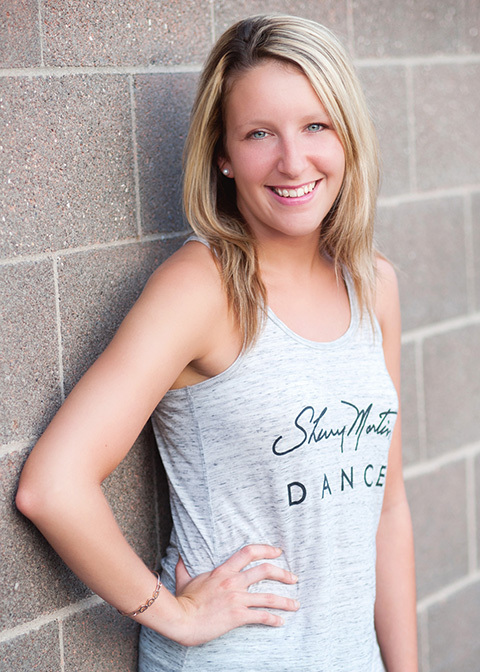 Kayla began teaching Hip Hop at the age of 15 at Sherry Martin Dance and is thrilled to be back on staff with her SMD family again! Lisa Washburn has been dancing at Sherry Martin since the age of 3. Throughout her training, she has progressed to take on the role as one of the advanced company level teachers. She recently graduated from the University of Buffalo with a B.A. in social science, with a concentration in health and human services. She also contributes to the community as an activity leader with the town of Amherst youth and recreation department, working with children within the local school districts. Lisa could not be happier to be a teacher and dancer at the studio that has been a huge contributor to the dancer and choreographer she is today. Marcy Washburn has been a student at SMD since 1992; and has been teaching at the studio since 2005. She has worked with children of all ages and levels in Jazz, Tap, Ballet, Hip-Hop, Lyrical as well as Creative Movement and B/J/T classes. In 2011, Marcy graduated from the University at Buffalo with her B.A in English, and is currently working for the Town of Amherst as an After School and Summer Camp director. Marcy is also the director for the M&T Bank production BAND Against Bullying showcasing local high schools raising awareness against bullying. She is a dedicated member of the studio and is happy to be part of the positive environment where children learn, exercise and make great memories. Emily Wilhelm, originally from Buffalo, began her dance training at the age of 8 at The Royal Academy of Ballet. She later continued on to receive her Bachelors of Arts in dance from The University at Buffalo in 2013 and her MBA at Medaille College. Emily was an NFL Cheerleader for the NFL Buffalo Jills for 4 seasons, from 2010-2014. In 2013 she was named Captain, represented the team in Tokyo, Japan for the 2013 Super Bowl Tour and later went on to represent the Jills at the 2014 NFL Pro Bowl in Honolulu, Hawaii. Emily now is a company member of ConvergeDance Buffalo and is ecstatic to continue performing. Dance is Emily's true passion and she is extremely blessed to be able to share her knowledge and devotion to the art with her students. She is extremely excited to be a member of the Sherry Martin Dance staff! 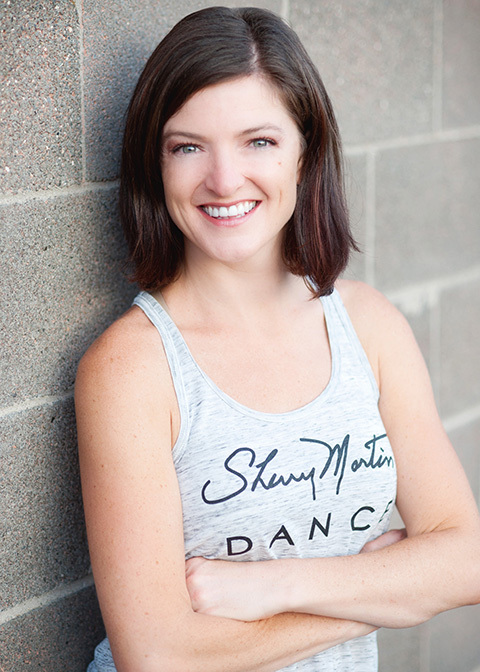 Sara Zapalowski, who has been dancing since she was three years old, has been a teacher at Sherry Martin Dance since 2013 and an assistant since 2009. She has worked with students of all ages and levels in tap, jazz, ballet, and musical theater. Sara graduated with her Bachelor’s degrees in Special Education and Childhood Education in 2016 and is currently working for her Master’s degree in Early Childhood Special Education. In addition to attending school, Sara is currently a middle school teacher at the Heritage Centers. 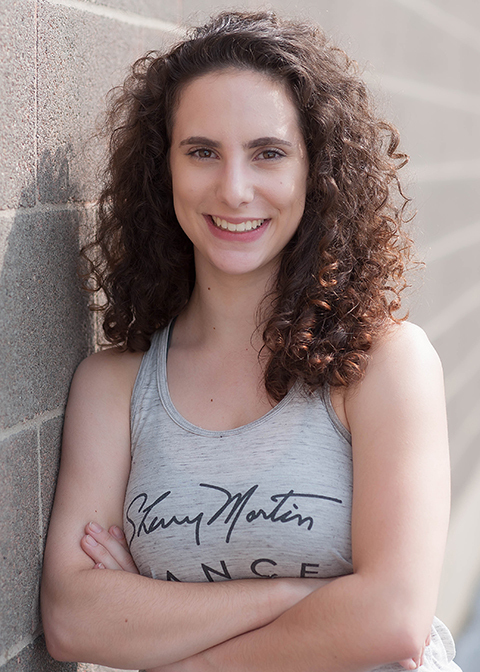 Combining her love of children and dance, Sara is excited to continue to teach dance at Sherry Martin Dance!